Layer 8 is written by Michael Cooney, an online news editor with Network World. IBM and the XPrize organization have opened registration and set guidelines to competing for a $5 million purse to those interested in building advanced AI-based applications that could address the world’s biggest issues – everything from clean water to better energy resources. According to IBM and XPrize, the four-year competition aims to “accelerate adoption of AI technologies, and spark creative, innovative and audacious demonstrations of the technology that are truly scalable and solve societal grand challenges. “Rather than set a single, universal goal for all teams, this competition will invite teams to each declare their own goal and solution to a grand challenge. 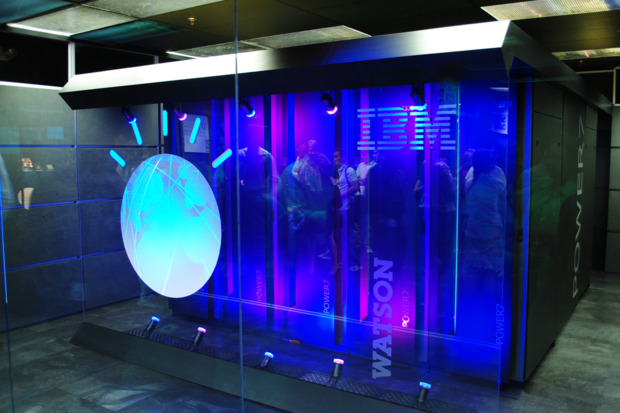 The IBM Watson AI XPRIZE is a four-year competition with annual milestone competitions in 2017, 2018, and 2019. The top three finalists will compete for the Grand Prize at TED 2020,” said Amir Banifatemi, XPRIZE lead for the IBM Watson AI competition in a statement. Teams have until December 1, 2016 to register through the XPRIZE website then will have until March 1, 2017 to submit a detailed development and testing plan for their proposed solution. The competition concludes with three finalists participating in the Grand Prize competition on the TED2020 stage in front of in-person and online audiences. Teams will be judged based on the standards they set in their plans, as well as the performance and scalability of their AI application, with the heaviest weight placed on the potential for solutions to achieve an exponential impact, IBM stated. The IDG News Service wrote of the competition when it was announced in earlier this year: Several companies have created apps that use the Watson APIs, but IBM apparently wants something far grander. The contest could give it a chance to rival some of the futuristic projects coming out of Google's X lab, now part of Alphabet, which is also trying to solve the world's big challenges. And what are some of those big challenges? 1. Water ("Super 'Brita' Water Prize") - Develop a technology to solve the world's number one cause of death: Lack of safe drinking water. 2. Personal Health Monitoring System ("OnStar for the Body Prize") - Develop and demonstrate a system which continuously monitors an individual's personal health-related data leading to early detection of disease or illness. 3. Energy & Water from Waste - Create and demonstrate a technology that generates off-grid water and energy for a small village derived from human and organic waste. 4. Around the World Ocean Survey - Create an autonomous underwater vehicle that can circumnavigate the world's oceans, gathering data each step of the way. 5. Transforming Parentless Youth - Dramatically and positively change the outcome for significantly at risk foster children, reducing the number of incarcerations and unemployment rate by fifty-percent or more. 6. Brain-Computer Interface ("Mind over Matter") - Enable high function, minimally invasive brain to computer interfaces that can turn thought into action. 7. Wireless Power Transmission - Wireless transmission of electricity over distances greater than 200 miles while losing less than two percent of the electricity during the transmission. 8. Ultra-Fast Point-To-Point Travel - Design and fly the world's fastest point-to-point passenger travel system. 1. How can the U.S. optics and photonics community invent technologies for the next factor of-100 cost-effective capacity increases in optical networks? 2. How can the U.S. optics and photonics community develop a seamless integration of photonics and electronics components as a mainstream platform for low-cost fabrication and packaging of systems on a chip for communications, sensing, medical, energy, and defense applications? 3. How can the U.S. military develop the required optical technologies to support platforms capable of wide-area surveillance, object identification and improved image resolution, high-bandwidth free-space communication, laser strike, and defense against missiles? 4. How can U.S. energy stakeholders achieve cost parity across the nation's electric grid for solar power versus new fossil-fuel-powered electric plants by the year 2020? 5. How can the U.S. optics and photonics community develop optical sources and imaging tools to support an order of magnitude or more of increased resolution in manufacturing? FBI: Business e-mail scam losses top $3 billion, a 1,300% increase in since Jan.